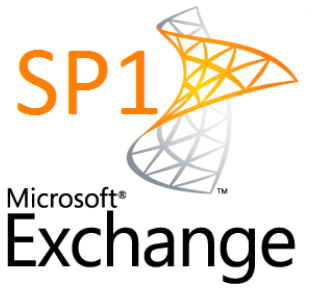 Its been 10 months since Exchange team release the SP1 for Microsoft Exchange server 2010. When this release happen, lot of bugs, which exchange team try to fix it. As mentioned in my previous blog, i was waiting for the platform to gets stabilized. 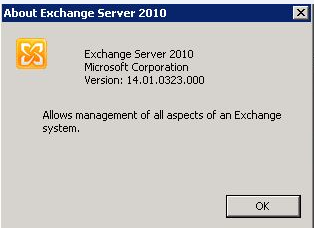 Thanks to Exchange server team, who keep on updating the hotfixes and OS bugs. Since the release of Windows server 2008 R2-SP1, most of the issues gets settled down..and now its my time to start our production server to bring to the latest platform. To tell you, this is the most stabilized platform so far. 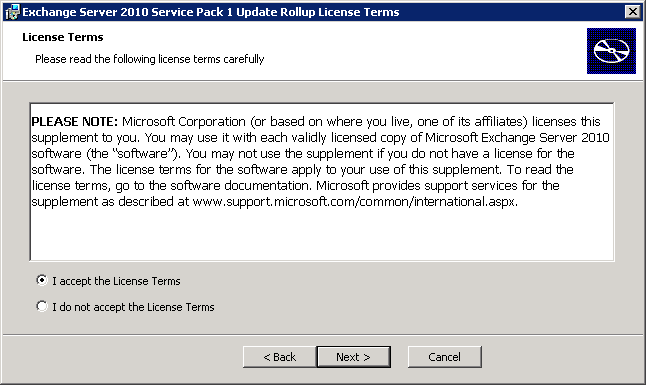 CAUTION : AFTER YOU UPGRADE TO EXCHANGE SERVER 2010 SP1, YOU CAN’T UNINSTALL THE SERVICE PACK TO REVERT TO EXCHANGE 2010 RTM (Released to Manufacturer). 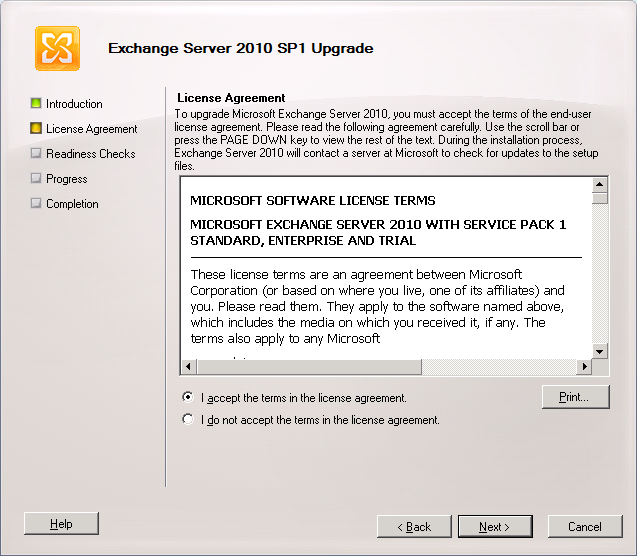 If you uninstall Exchange 2010 SP1, you remove Exchange server from the domain!!! Edge Server – This role can be upgraded at anytime, but as per the team recommendation, this has to be done either before or after all other server roles are upgraded. NOTE : If your organization uses load balanced CAS server, you must upgrade all the CAS in that array to Exchange 2010 SP1 one by one and then move to the next role based server. 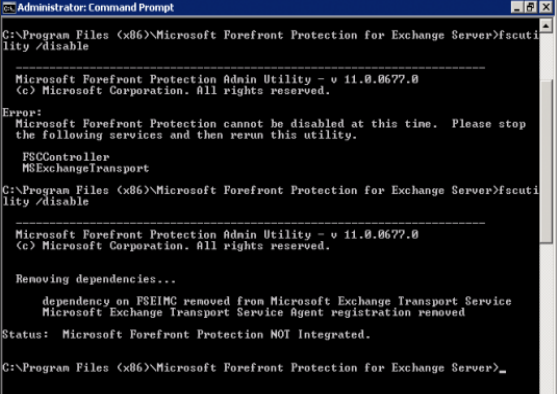 For those of you running Forefront, be sure that you perform these important steps from the command line (not EMS) in the Forefront directory before and after this installation. and then install the others if required…then again re-run the setup once the readiness check is completed, go for upgrade. This will take minimum 30 to 40 minutes, depends on the performance of the system…. One server finish…upgradation…not over yet!!! Right now i can tell you that the mail flow is smooth…because of the load balancing on the H&C Servers. 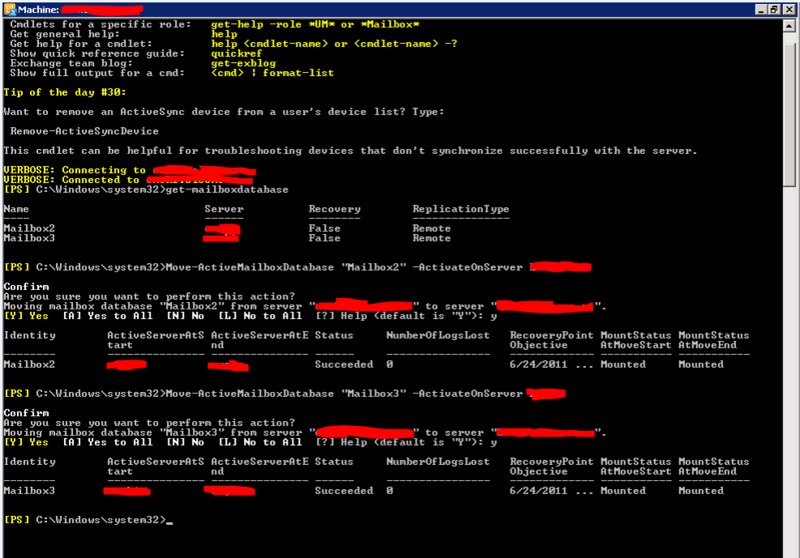 Same step you have to do on the next HUB & CAS server in this array…!!! Next one finishes in 30 minutes..HUB & CAS Server upgraded to SP1…. 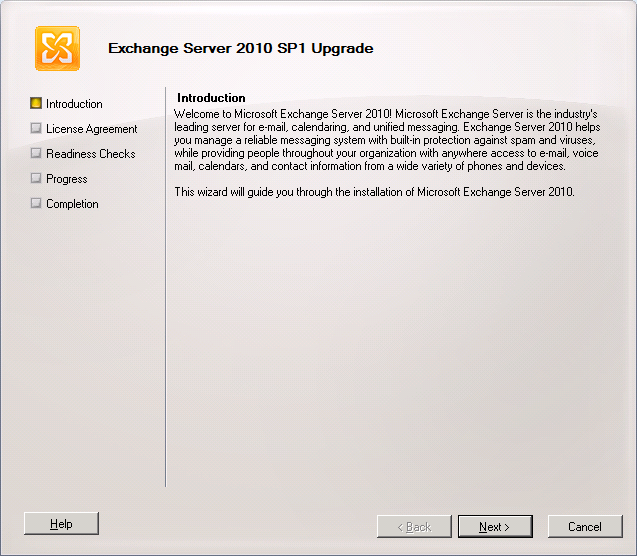 Upgrade only passive servers Before applying Exchange 2010 SP1 to a DAG member, move all active mailbox database copies off the server to be upgraded and configure the server to be blocked from activation. If the server to be upgraded currently holds the primary Active Manager role, move the role to another DAG member prior to performing the upgrade. You can determine which DAG member holds the primary Active Manager role by running Get-DatabaseAvailabilityGroup <DAGName> -Status | Format-List PrimaryActiveManager. 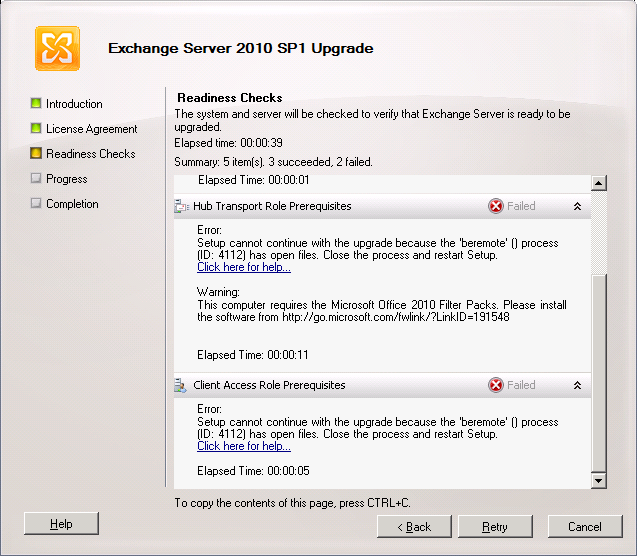 Place server in maintenance mode Before applying Exchange 2010 SP1 to any DAG member, you may want to adjust monitoring applications that are in use so that the server doesn’t generate alerts or alarms during the upgrade. For example, if you’re using Microsoft System Center Operations Manager 2007 to monitor your DAG members, you should put the DAG member to be upgraded in maintenance mode prior to performing the upgrade. Verify the DAG is healthy Before applying Exchange 2010 SP1 to any DAG member, we recommend that you verify the health of the DAG and its mailbox database copies. A healthy DAG will pass MAPI connectivity tests to all active databases in the DAG, will have mailbox database copies with a copy queue length and replay queue length that’s very low, if not 0, as well as a copy status and content index state of Healthy. 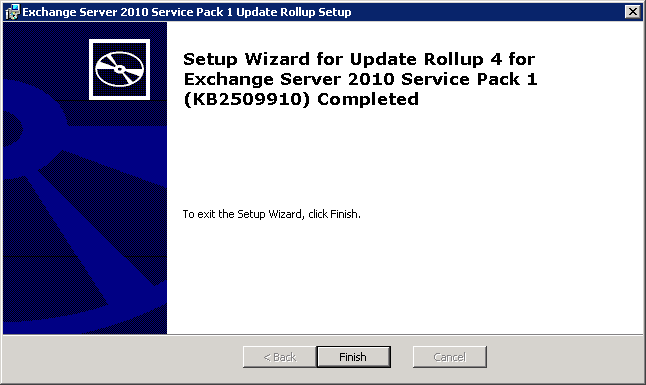 Be aware of other implications of the upgrade A DAG member running the RTM version of Exchange 2010 can move its active databases to a DAG member running Exchange 2010 SP1, but not the reverse. 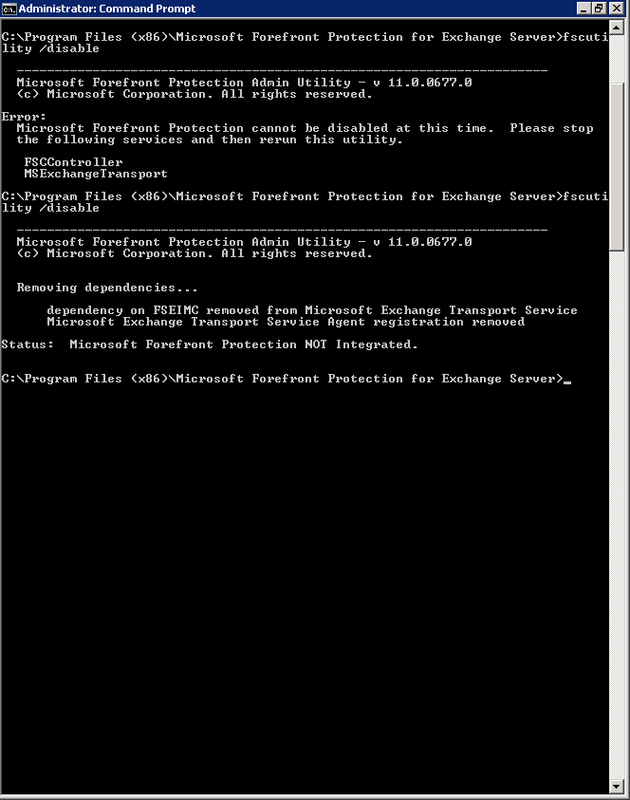 After a DAG member has been upgraded to Exchange 2010 SP1, its active database copies can’t be moved to another DAG member running the RTM version. 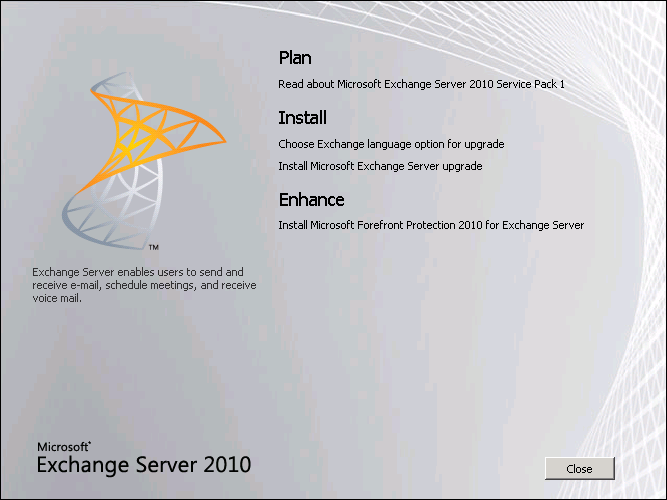 One finish…now the real task..you have to change the active one to passive (Passive is now with Exchange server 2010 SP1). 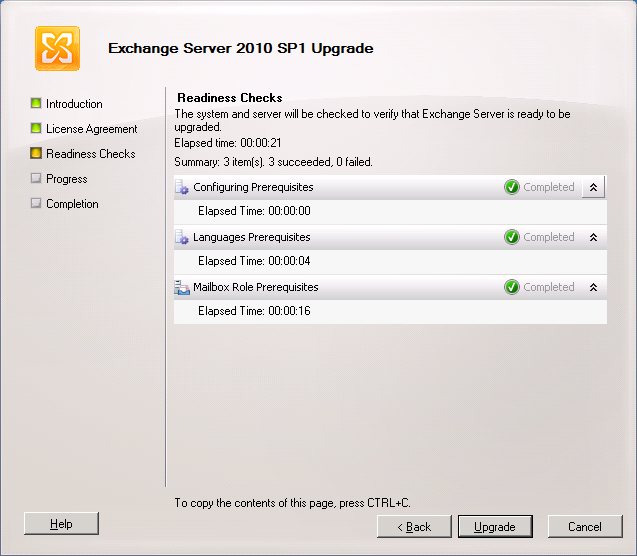 All the mailbox server upgradation to Exchange Server 2010 SP1 – Finished!!! Now i can tell you that the mail flow has not yet disturbed so far. Make sure that you perform these important steps from the command line (not EMS) in the Forefront directory before and after this installation. 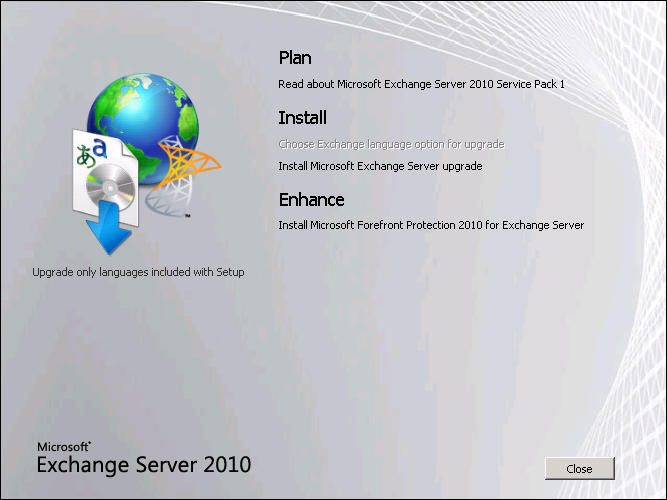 Edge server installaiton completed….Now our exchange server is on SP1!!!! Beauty is that none of the server ask for a restart!!!! 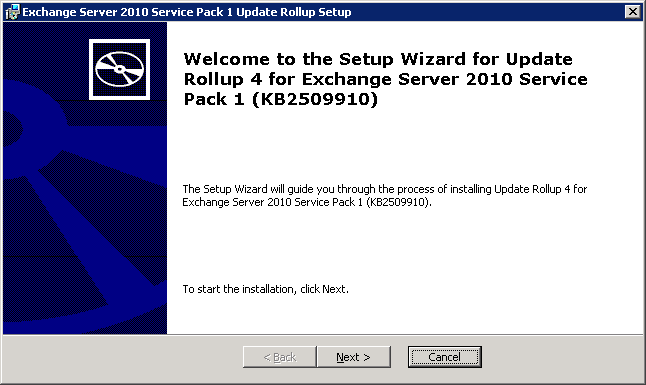 Now the latest rollup needs to apply…today for us Microsoft has released Rollup 4 (latest one) for Microsoft Exchange server 2010 SP1. HUB & CAS server started updating rollup4…!!! HUB & CAS completed with Rollup 4!!! Completed…All our servers are now upto-date. Client side – Server side testing started…!!! Thanx a lot for your information! I’ve just subscribed to it.